2018: In nine games, Robinson finished with 26 punt returns for 209 yards and 28 kickoff returns for 539 yards. He also had seven carries for 23 yards and five receptions for 77 yards and a touchdown. 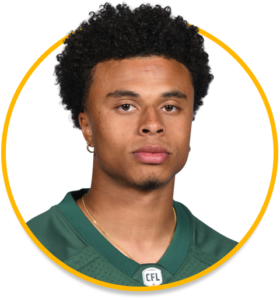 Robinson scored his first CFL touchdown in Week Five on a 30-yard receptions. Robinson finished the season on the club’s practice roster. College: Robinson attended Sacramento State from 2013 to 2016 where he appeared in 41 games. He recorded 2,823 yards and 25 touchdowns on 543 carries and 792 yards and five touchdowns on 103 receptions.